Thats a good trick. 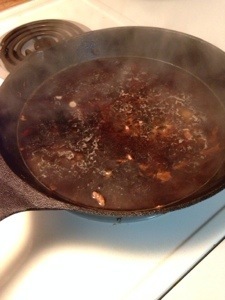 Another trick is to keep water in the pan after you empty the pan. Sanchitahobby, thats a great idea. Do you just leave it in the sink with water in it?